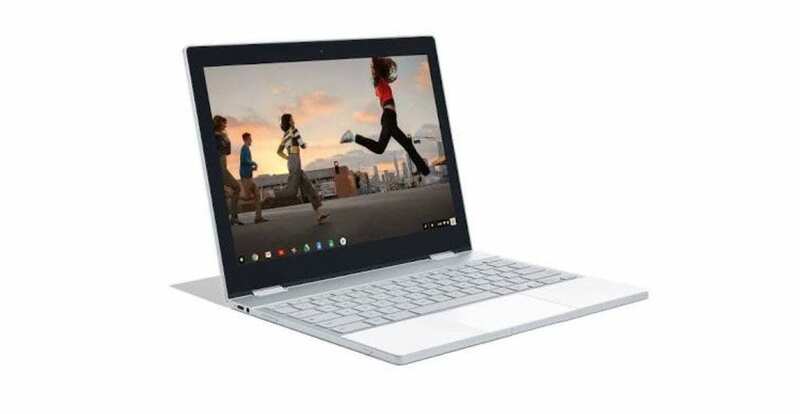 Well folks, though we’ve known Google was working on an official Chromebook known as ‘Eve‘ up to this point, we’ve not seen any concrete evidence of its existence. Thanks to some serious leaks over at Droid Life we now have a look. The initial images come from, ironically, a sponsored ad for what is now dubbed the Google Pixelbook. Droid Life has also included three variations of the Pixelbook in their report and it appears the base model is going to run $1,199 with storage upgrades taking the new Chromebook to $1,399 for 256GB and a whopping $1,749 for the 512GB version. A quick search for the Pixelbook brought up the same results with links pointing directly to the Google Store listing. Unfortunately, the links take you to a disappointing 404 error. Just moments later, the same search for any of the three configurations brings up nothing. It’s possible this was a slip-up inside the Google advertising office or there is the other option that Google is hyping their own event. In either case, the hype is real. The new Google Pixelbook appears to have dropped the “Chromebook” branding completely and it looks unlike any device to ever house the Chrome operating system. The storage options are a bit of a surprise as well. While Google has always offered the top-tier when it comes to Chromebook options, 512GB of storage is unheard of until now. Droid Life also notes that the anticipated stylus for the Pixelbook will be sold as an accessory for $99. Again, this is a bit outside of the normal scope of Chrome devices but this is Google and the Chromebook we are very sure is ‘Eve’ is a new breed of machine. We will definitely be on the edge of our seats when we head to San Francisco at the beginning of October to see this device first-hand. Stay tuned for more details and check back here for the live stream Oct. 4. Once the Google Pixelbook page goes live in the Store you should be able to find it here and the Pixelbook Pen here.